We are living in a period of tremendous scientific and cultural change, and nowhere is that more evident than in the bioethical issues that appear almost daily on the front pages of the newspaper, online, and on the five-o’clock news. 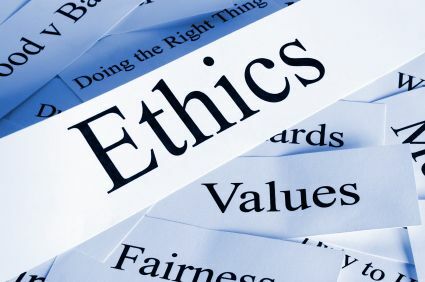 These bioethics issues exist at the intersection of several important subjects: philosophy and medicine, private decision making and public policy, economics and scientific advancement, the individual and the society, popular culture and science. The questions raised in the study of biomedical ethics are important to individuals both as health care decision makers and as citizens involved in the debate and formation of public policy. Through the study of contemporary medical ethical issues, we will examine and question our own beliefs while understanding many of the thorniest personal and policy decisions of our time. The course addresses such topics as genetic engineering, health care financing, allocation of scarce medical resources, death and dying, human experimentation, patient autonomy, and stem cell research. Class time is spent discussing difficult decisions and real cases, as well as developing formal analytical and presentation skills. 1. What is the ethical question? 2. What are the relevant facts? 3. Who or what will be affected by the outcome? By the end of the course, students should be able to identify ethical conflicts in news stories, medical cases, films, etc. ; identify stakeholders and articulate various opposing positions; analyze the arguments raised on multiple sides of a conflict; take and defend a reasoned position, and, most importantly, engage in civil, productive discussion about divisive, emotionally charged issues. Each student will have developed their own ethical framework. Lunch and snacks will be provided daily. The instructor, John Rocklin, a faculty member at St. Stephen’s, has been teaching Humanities and Bioethics courses for over 25 years to learners of all ages.